Well, one of the flagship items in the Halo:Reach collection by McFarlane Toys is the UNSC vehicle known as the Warthog. This vehicle is pretty much the workhorse of the UNSC army and it is designed to take on a number of roles in the battlefield. However, this review is not going to be about that piece. Instead, I want to let you know about one of the Vehicle Upgrade Sets released in Series 3 of this line. 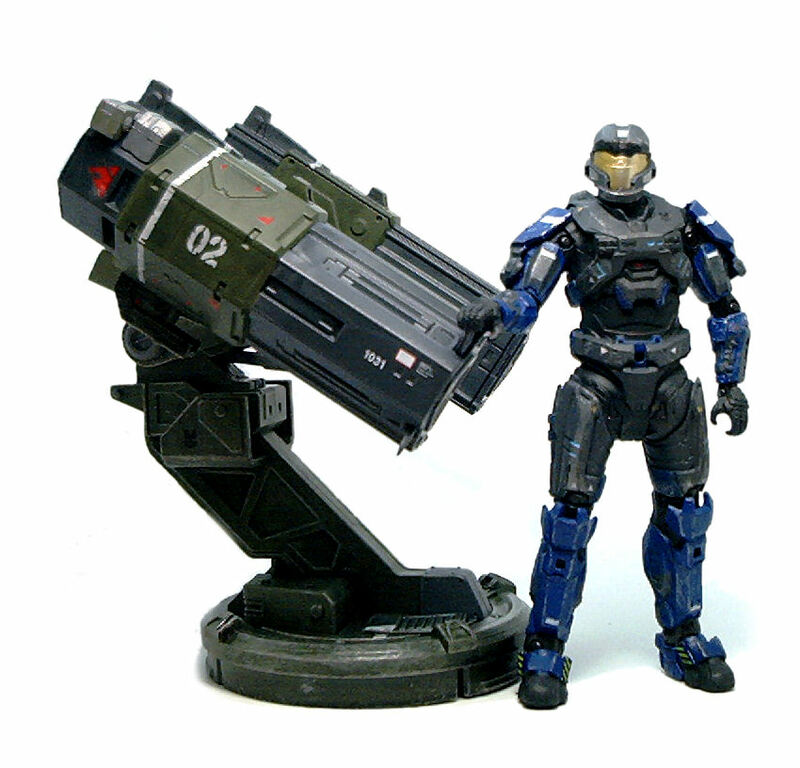 The Missile Launcher with JFO Spartan set consists in a missile launcher platform and a Spartan gunner. The launcher itself is composed of two missile pods connected by a fire control console. The array sits atop an angled pillar that connects to a circular base. 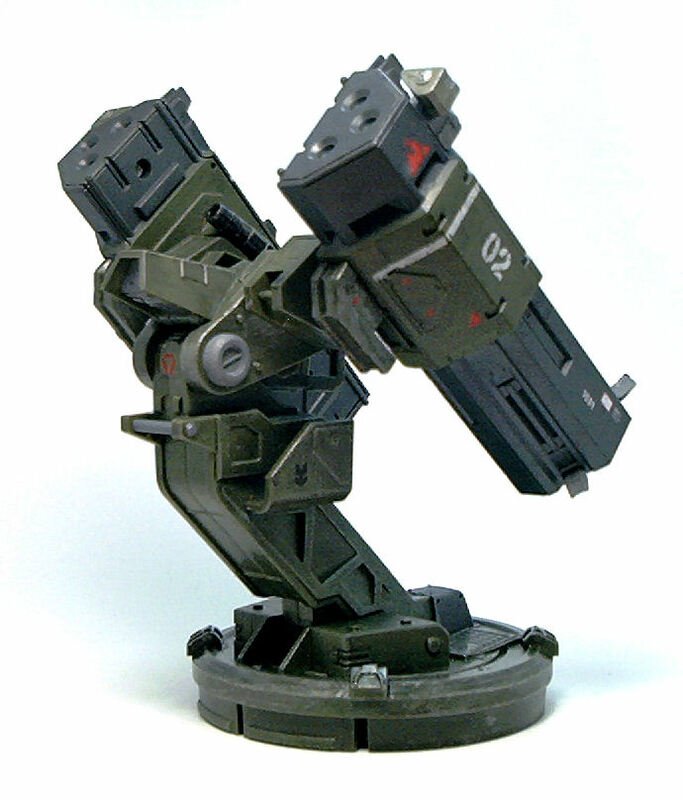 Each of the missile pods swivel vertically independent of each other, but the fire control section also swivels forward on it’s own, which seems rather unnecessary but it actually helps in adjusting the height of the trigger handles for the gun operator. 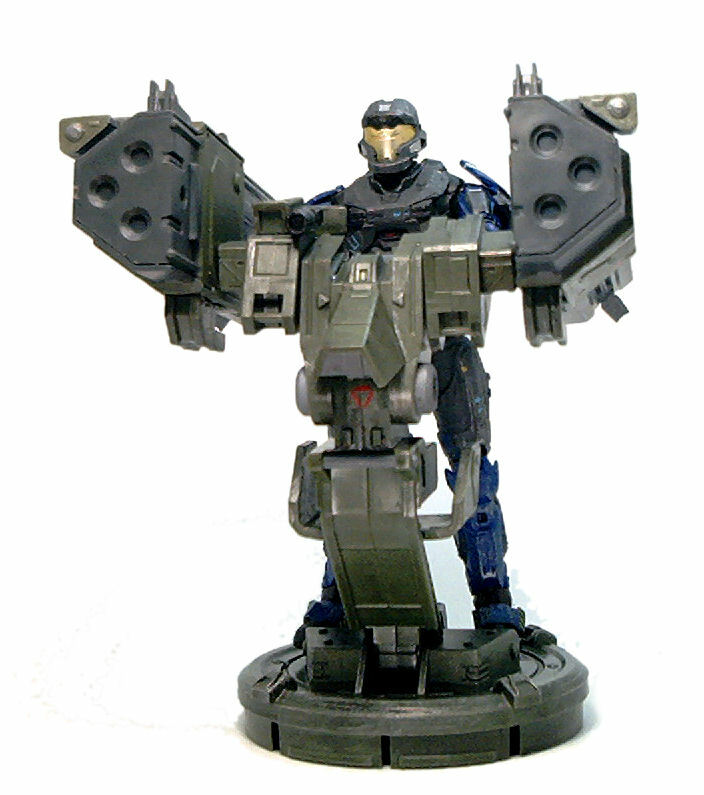 After years of collecting Hasbro toys, I was kind of expecting these launchers to actually shoot a few plastic missiles, but then I remembered this is a McFarlane toy, but it would have been nice to have such an action feature in this. There is absolutely no lateral rotation on this piece because the whole array is designed to plug into the rear platform of the Warthog. Once in place, it uses the well on the platform to swivel side to side, otherwise it’s not going to do much lateral target tracking on it’s own. 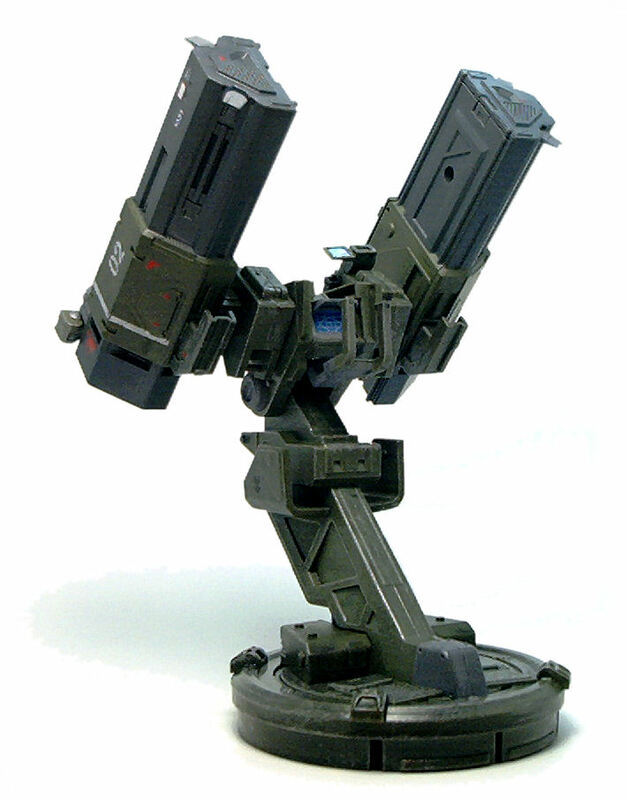 The Missile Launcher is mostly molded in dark gray and green plastic, but it has enough markings stenciled on to make it look interesting, as well as some subtle gunmetal drybrushing that adds a nice amount of realism to the piece. The fire control station also has some nice detailing in the form of a targeting reticule and a screen. The set comes with a Spartan Joint Fires Observer (JFO for short). As I understand it, this means he’s fundamentally an artillery observer. 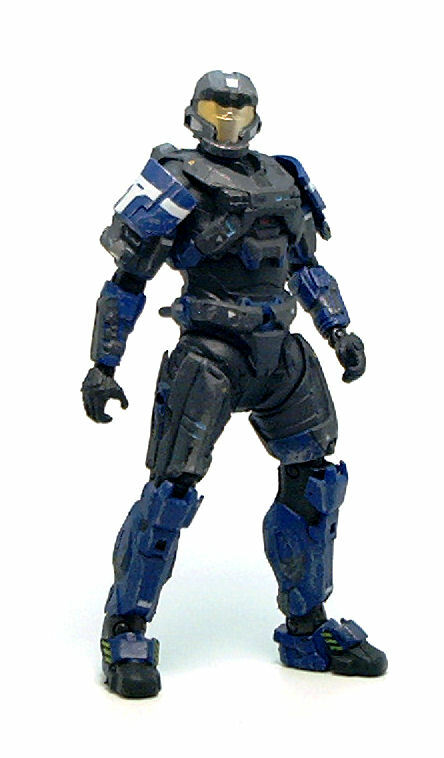 The JFO uses the same basic body as any other of the Halo: Reach Spartans, with only a few different pieces, most notably the helmet, which resembles the design of the Clone Troopers from the Star Wars prequels. • Hinged elbows with swivels above and below the joint. • Hinged wrists with swivels above and below the joint. • Barbell mounted upper thighs. • Hinged ankles with swivels above and below the joint. The level of detail in the figure is good, as always, and the color combination selected for the JFO is blue as primary color and steel as secondary. The overall look is nice, and the paint applications on him are fairly well done. 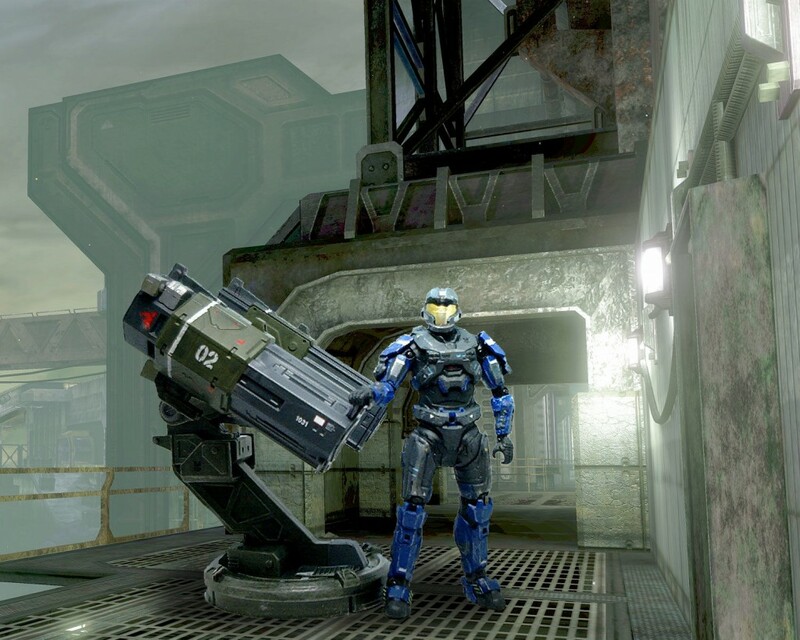 The JFO fits well into the missile launcher, although it takes some work to get both his hands on the trigger handles. 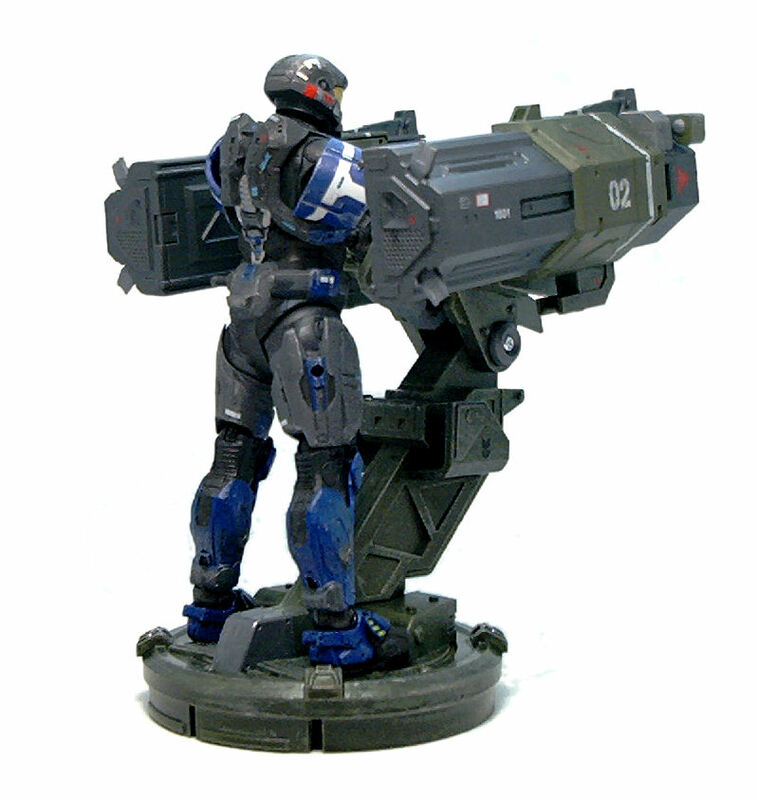 Other than the big gun, the JFO doesn’t come with a personal sidearm, which is kind of a problem because in the Halo: Reach line figures come with just one weapon (and a grenade, to be fair), so there are no extra guns to share. Obviously, you get more out of this set if you already have a Warthog to mount the Missile Launcher on, but even as a standalone piece, I’d say this set is a pretty decent deal.